family doctor who imbues in his son an early enthusiasm for housecalls, to his “Uncle Tungsten,” whose factory produces tungsten-filament lightbulbs. We follow the young Oliver as he is exiled at the age of six to a grim, sadistic boarding school to escape the London Blitz, and later watch as he sets about passionately reliving the exploits of his chemical heroes–in his own home laboratory. 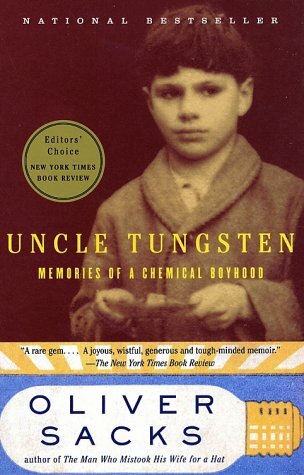 Uncle Tungsten is a crystalline view of a brilliant young mind springing to life, a story of growing up which is by turns elegiac, comic, and wistful, full of the electrifying joy of discovery. of Arts and Letters. He also wrote Mind's Eye which made The NewYork Times Bestseller list for 2010.